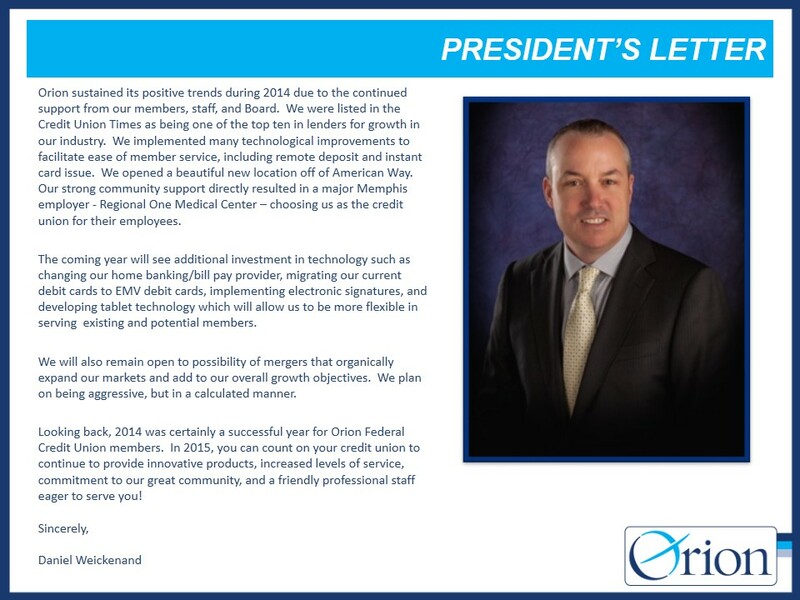 Orion held its Annual Shareholders Meeting on March 18, 2015. We wanted to share with you the letter from our president, Daniel Weickenand, as well as the changes to our Board of Directors and Supervisory Committee. We are grateful for their strategic guidance in making 2014 a year of solid progress. And to you, our members, allow us to express a special thanks for your continued loyalty and support of this tremendous organization! 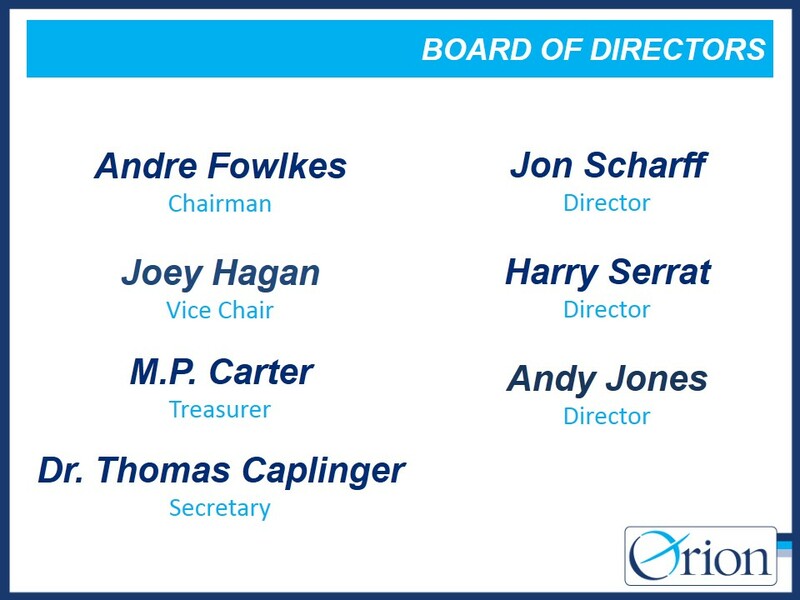 Posted in March and tagged Annual Meeting, Board of Directors, President's Letter, Supervisory Committee. Bookmark the permalink.